Earlier this month, Brooklyn-based indie band, American Authors, released a dog version music video for their popular single, “Best Day of My Life.” The video features an English Bulldog Rescue named Meaty and it follows his daily routine as he enjoys the day. 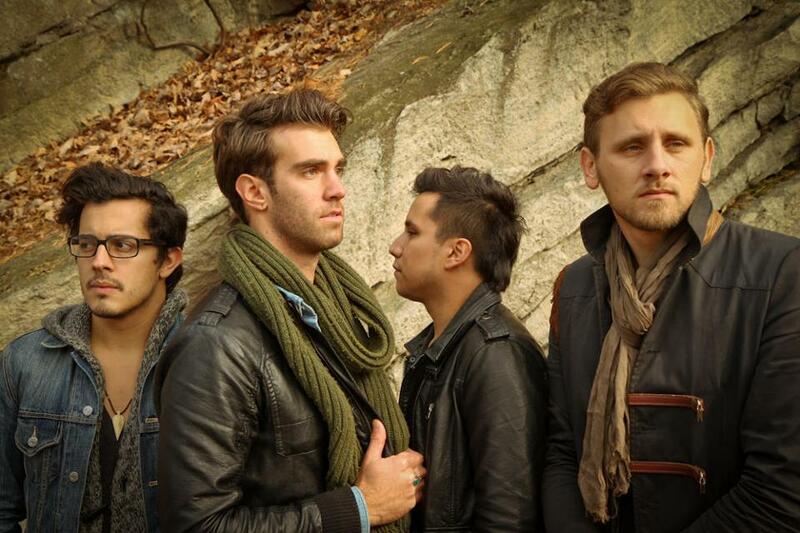 Don’t Be Cruel recently had the opportunity to talk to American Authors about music, rescue animals and pet adoption. DBC: What inspired you to create a music video based on a rescue pet? AA: We really enjoy working with NPO’s, charities, and anything where we can use our music to bring awareness to different issues. When we started talking about how cool it would be to center a video around a dog, we knew there was another level we could take the idea. Working with the rescue center not only tied the video together but made this something to be extra proud of. DBC: How did you come to pick Meaty from the Georgia English Bulldog Rescue to be the star of your video? AA: There are so many dogs and pets out there that I’m sure would have been just as fun to make a video with but Meaty seemed to have that special personality that can sometimes be tough to come across. It also helps that he’s one of the cutest English bull dogs we’ve ever seen! DBC: What do you hope viewers will take away from watching this video? AA: We hope viewers walk away from watching this video feeling good with a smile on their face. The majority of the dogs I had growing up were rescued and hopefully this video will inspire people to go out and continue to help out and rescue animals. DBC: What do you think is the biggest challenge for local shelters & rescues to raise awareness about pet adoption? AA: People seem to be very specific about the type of pet they are looking for so maybe they don’t think to adopt from a rescue shelter right off the bat. There are a lot of great animals for people to save and take care of. DBC: Do you currently own any pets? Are any of them rescues? AA: Our bass player, Dave, adopted a cat named froggy about 5 years ago. She’s a great cat and were still trying to figure out a way to take her on tour with us! DBC: Do you travel with your pets often? Take them on tours/live shows? AA: Right now we are touring in a 15 passenger van with very limited space so unfortunately froggy is at home with a couple friends who look after her. Hopefully as soon as we get more space we will be able to bring pets to shows! DBC: Do you have any words of wisdom to share with the general public about pet rescue and adoption? AA: Highly consider rescue centers and adopting when looking into owning pets. Not only is it great help and a wonderful thing to do but these animals are amazing and should not be overlooked because of their difficult past. For more information about donating and adopting visit Georgia English Bulldog Rescue. Download American Authour’s Self-Titled Debut EP. This entry was posted in Interviews and tagged American Authors Band, Best Day of My Life, Georgia English Bulldog Rescue, pet adoption awareness on September 24, 2013 by Belkis Cardona-Rivera.